PlayGround has selected four bold new full-length plays by Bay Area playwrights to be developed and presented as public staged readings over two weekends, May 16-17 and May 23-24, as part of the 19th annual PlayGround Festival of New Works at San Francisco’s Thick House. The plays are: Katie May’s A HISTORY OF FREAKS, Erin Marie Panttaja’s PREAPOCALYPTICA (a Planet Earth New Play Festival/PlayGround commission), Jonathan Spector’s FTW, and Ignacio Zulueta’s KANO + ABE (a 2013 PlayGround commission). The expanded PlayGround Festival includes more than 44 performances and readings over a six-week period, May 7-June 14, 2015, including the Festival Staged Readings, Best of PlayGround 19, and the world premieres of Robin Lynn Rodriguez’s Hella Love Oakland and Garret Jon Groenveld’s The Empty Nesters. All festival staged readings are free (suggested donation at the door) though advance reservations are recommended. Tickets, including All-Festival Passes starting at just $60, are available through the Box Office at 415-992-6677 or online at http://playground-sf.org/festival. Over the past two decades, the PlayGround Festival has served as a launching pad for some of the Bay Area’s most significant new writers. And with the inclusion of new full-length plays in development in 2003, more than a dozen past festival selection have gone on to premiere at theatres in the Bay Area and around the country, including Abraham Lincoln’s Big Gay Dance Party by Aaron Loeb, Crevice by Lauren Yee, and Truffaldino Says No by Ken Slattery, with two more coming this spring — Hella Love Oakland by Robin Lynn Rodriguez and The Empty Nesters by Garret Jon Groenveld. A “runaway” clown returns from college to find the traveling circus and freak show he calls home on the verge of collapse. Does Joseph hold the key to their survival? Three college friends agree to share a two-bedroom apartment in West Oakland and together face the challenges of the real world: finding a purpose, making rent, and the limits of sharing (“Did your boyfriend use my toothbrush??”). Two Filipino brothers chase the American Dream – one through military service and naturalized citizenship, and the other as an undocumented worker, living under the radar. When desperation forces Kano and Abe back together under the roof of a live-in slumlord, brotherly love gets put to the test in this modern-day Daly City bible story. California has just one more year of water remaining. The oceans are quickly becoming depleted of fish. Global temperatures are rising. One family will try to face up to the coming crisis and, if they can, turn back the tide. KATIE MAY’s (A History of Freaks) plays include Abominable (PlayGround Commission and semi-finalist, O’Neill National Playwrights Conference), Manic Pixie Dream Girl (fringeNYC, A.C.T. Costume Shop, San Francisco) Black Sheep Gospel (Great Plains Theater Conference), and A History of Freaks (Finalist David Mark Cohen Award), among others. Her short play Rapunzel’s Etymology of Zero (Best of Playground Festival, 2011) is being made into an animated short film scheduled for release in spring, 2015. She’s the recipient of grants from the Virginia Piper Writing Center, the Society for Women in Film, and a PlayGround Emerging Writers Award. May holds an MFA in Playwriting from Arizona State University. ERIN MARIE PANTTAJA (Prepocalyptica) is in her third season as a member of the PlayGround Writers Pool. She received a Planet Earth New Play Festival commission to develop a new full-length play based on her short Preapocalyptica, to be workshopped this spring at University of California Berkeley and Stanford. Her plays have been produced at the Dublin Fringe Festival's Thread workshop and Mendocino College's New Works Festival and as part of Twisted Christmas Live. She is also an engineer, designer, roboticist, and homemaker. Jonathan Spector (FTW) is a playwright and director whose plays include In From the Cold, Adult Swim, FTW and Good, Better, Best, Bested. His work has been developed and produced with PlayGround, Just Theater, Aurora Theater, Playwrights Foundation, and the Source Theatre Festival. He's a Resident Playwright at Playwrights Foundation, a winner of Theatre Bay Area's TITAN award, and the Co-Artistic Director of Just Theater. Ignacio Zulueta (Kano + Abe) is a PlayGround Emerging Artist and Resident Playwright. His plays and radio plays have been featured in Ashland, New York, Kalamazoo, the Bay Area and KUSF and KPFA. Kano + Abe was commissioned and developed by PlayGround. He is the lead writer for the multi-acre site-specific event Matthew Briar and The Age of Resurrection at San Jose's History Park. WHAT: PlayGround Festival of New Works Staged Readings, featuring four bold new plays by Bay Area playwrights, each presented twice over two weekends. 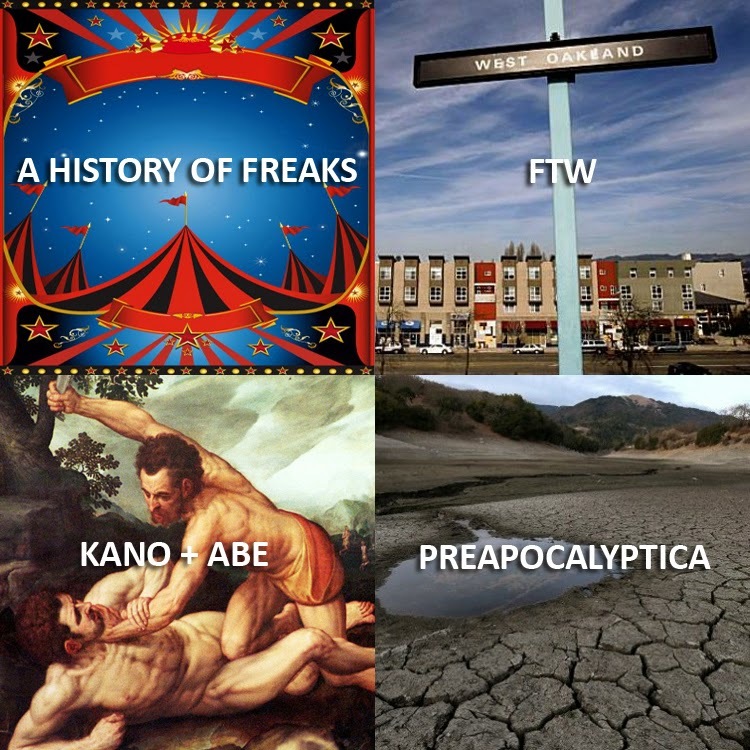 This year’s selections include: A HISTORY OF FREAKS by Katie May; PREAPOCALYPTICA by Erin Marie Panttaja; FTW by Jonathan Spector; and KANO + ABE by Ignacio Zulueta. WHEN: May 16-17 and May 23-24, 2015. TICKETS: All festival staged readings are free and open to the public (suggested donation at the door). All-Festival Passes, which include reserved seating for all festival events, start at just $60. For more information about the PlayGround Festival of New Works, call (415) 992-6677 or visit www.PlayGround-sf.org/festival. The 20th Anniversary Gala may be over but the fun continues, with our post-gala online auction, featuring eleven packages and more than 28 offerings, from a theatre salon with Aaron Loeb and Chad Jones at the Pacific Heights home of producer Jill Matichak to half-price theatre tickets to A.C.T., and from a winery tour/tasting to half-price hotel accommodations in San Francisco and Berkeley! All proceeds from the online auction benefit PlayGround’s New Play Incubator programs. Take a look, pick your favorite, and help spread the word! Click the "BUY NOW" link to purchase and lock in your favorite packages. Join theatre aficionado and producer Jill Matichak at her home on Sunday, May 17 for an evening of good food, good wine and good conversation, featuring PlayGround alumnus and 2013 Glickman Award winning playwright Aaron Loeb (Ideation) and leading theatre critic and writer Chad Jones (theaterdogs.net, San Francisco Chronicle). Begin your evening with drinks and hors d'oeuvres in Jill’s cozy Pacific Heights apartment with a charming Bay view, then enjoy a discussion of the new play scene with Aaron and Chad, followed by a light buffet, dessert and continuation of the discussion. A one-of-a-kind opportunity to share an intimate evening with two leading voices in Bay Area theatre! Limited to 20 participants. Value: Priceless. Courtesy of Jill Matichak, Aaron Loeb and Chad Jones. Enjoy the best of San Francisco performance with a pair of tickets to the American Conservatory Theater performance(s) of your choice, including the upcoming A LITTLE NIGHT MUSIC and 2015-16’s collection of reinterpreted classics and bold new works. Restrictions: Strand and Costume Shop performances not included. Value: $300. Don’t miss a single show with two six-play subscriptions to Aurora Theatre Company’s 2015-16 season, including five Bay Area/West Coast premieres! Value: $530. A pair of tickets to TheatreWorks, Silicon Valley's leading professional theatre. Valid the remainder of the 2014-15 season, including Fire on the Mountain, the bluegrass musical (through April 26), 2015, and Noel Coward's Fallen Angels (June 3-28, 2015), both at the Mountain View Center for the Performing Arts. Value: $148. A pair of tickets to Smuin Ballet's Spring 2015 program, including Michael Smuin's Romeo and Juliet and Hearts Suite, Helen Pickett's Petal, and a world premiere by Adam Hougland. 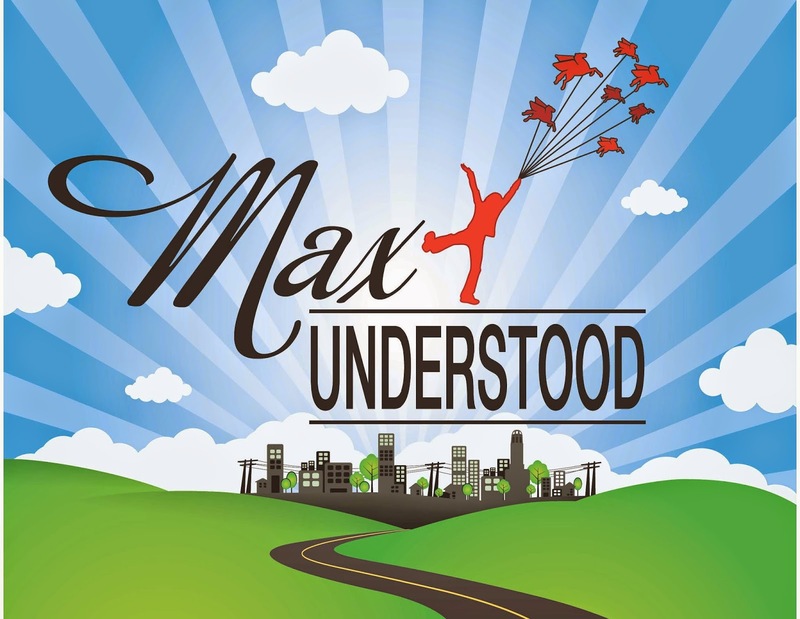 May 8-17 (Yerba Buena Center for the Arts, San Francisco), May 21-24 (Mountain View Center for the Performing Arts, Mountain View), May 29-30 (Dean Lesher Center for the Arts, Walnut Creek), and June 5-6 (Sunset Center, Carmel). Value: $150. Ready for your star turn? Win a walk-on role in the 2015-16 Monday Night PlayGround season performing at Berkeley Repertory Theatre's Roda Theatre and a chance to show your friends you “coulda been a contender!” Join your favorite local directors and actors for an intense hour-and-a-half rehearsal, brief technical rehearsal and your starring performance, then join cast and crew for the after-gathering at PlayGround’s favorite watering-hole… first round’s on us! Value: Priceless. Savor a night’s deluxe accommodations at Joie de Vivre’s Hotel Rex off Union Square, noted for its sophisticated décor, inspired by the San Francisco art and literary salons of the 1920s and 30s.. Value: $300. Courtesy of Joie de Vivre Hotels. Enjoy one night’s deluxe accommodations at Berkeley's Hotel Shattuck Plaza, including dinner for two at the posh Five Restaurant. Value: $305. Courtesy of Hotel Shattuck Plaza. Enjoy dinner for two at the Absinthe Brasserie & Bar, one of the longest-running and most convivial dining institutions in San Francisco’s Hayes Valley neighborhood. Located within walking distance of Civic Center and the performing arts centers, the establishment features French and Northern Italian-influenced brasserie fare for lunch and dinner, plus weekend brunch. Absinthe’s lively bar offers classic and creative cocktails and late-night dining. Value: $150. Enjoy a tour and tasting of single-vineyard Cabernets at Nickel & Nickel, the sister winery to Far Niente. Located on Highway 29 in Oakville, California, Nickel & Nickel brings back to life the farmstead that was first settled on the site in the 1880s, with a cutting edge winery behind the scenes. Visit the historic Sullenger House built in 1884, the Gleason barn, circa 1770, which was moved from New Hampshire and re-constructed at the winery, our subterranean wine cellar and more. Package comes with a complimentary bottle of Nickel & Nickel chardonnay. Value: $315. Courtesy of Nickel & Nickel Vineyard. Do you know a high school student facing the SATs or ACTs? A college graduate looking to conquer the GMAT or GRE? Give them the gift of a higher score and reduced stress levels with 10 hours of test prep with an expert tutor. PlayGround Company Member and actress Lisa Morse has been tutoring the standardized tests for more than a decade and uses her humor and energy to make lessons not only effective but enjoyable. And how cool will it be, when you attend the world premiere of Robin Lynn Rodriguez’s Hella Love Oakland this spring, to whisper to your friends as you point to the stage, "See that actress? That’s my daughter's SAT tutor!" Current clients ineligible. Value: $1,200.